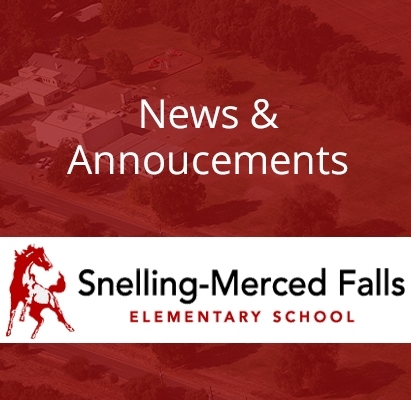 Snelling-Merced Falls Elementary creates a positive learning environment by focusing on individualized classroom lessons, supportive after school programs and clubs, and personalized professional ethics. Parents, staff, and the community embrace each students’ potential and encourages individualized growth for academic and personal success. Please click below to view our 2018-2019 master calendar and monthly announcement calendar..
School will resume April 29th. Have a wonderful break.